Select one of the following features to find an appropriate place to study. 2 places to study found in Sloane Art Library. Try searching all locations. The first floor of the Art Library has a mix of large tables, comfy single-person seating and features great natural light. It can be a high-traffic area due to a heavily-used CCI printer, public computers and scanners. 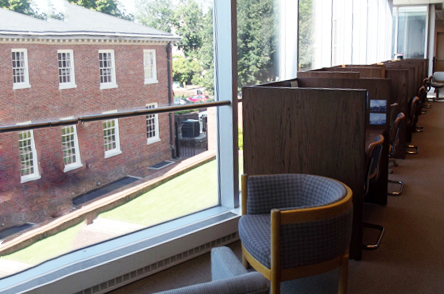 The second floor of the Art Library has nice natural light and study carrels for quiet, individual study. 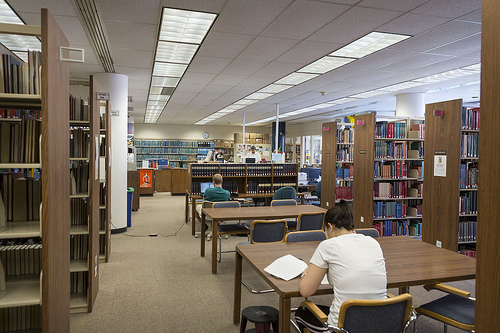 Please note that many of the carrels are assigned to graduate students in the Art Department. Every carrel is free for anyone to use, but the assigned student takes priority if he or she wishes to use it at any given time.